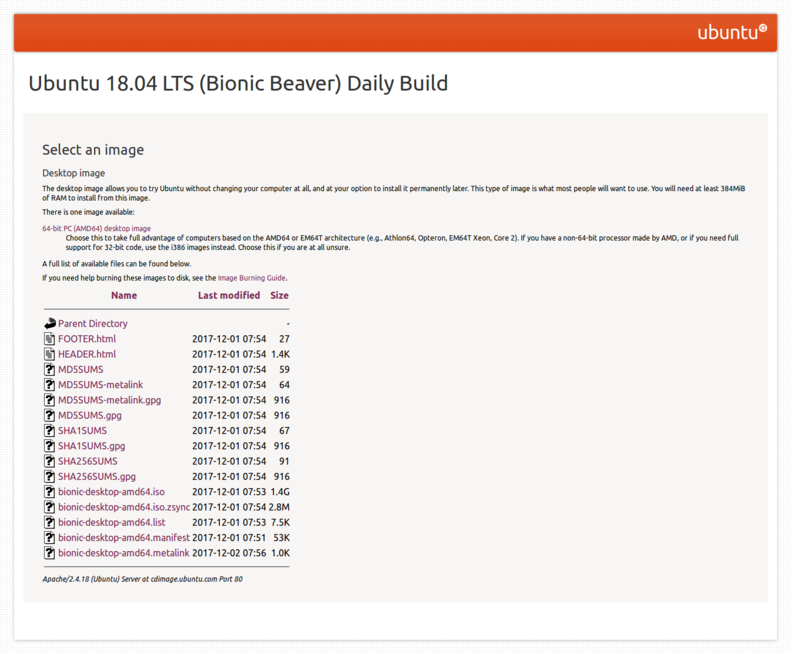 This short article mentions basic info and links about Ubuntu 18.04 LTS operating system codenamed "Bionic Beaver". This article is for beginners who interested in Ubuntu but cannot find a single page mentioning all basic & necessary info about Bionic Beaver. This article is also for developers who want to help Bionic Beaver development but don't know where to go. This article may be updated later as Bionic is currently being developed for the final release next year. I hope this article helps Ubuntu 18.04 development as much as possible. Development version's ISO image name "bionic-desktop-amd64.iso"